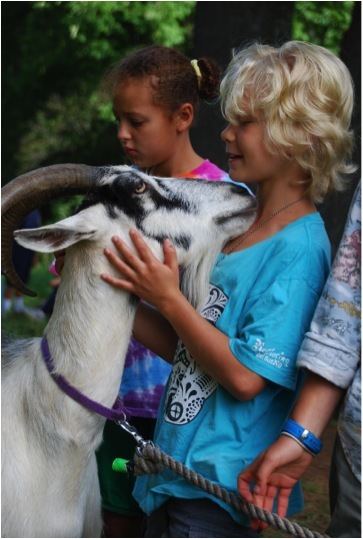 Come join us for arts and crafts activities, visit our gardens and piglet Magnolia, enjoy farm fresh pasteurized milk, meet our Camp Director, Polly Williams and some summer staff, and check out our programs for ages 4-10. All welcome, but for the safety of our working farm animals, please leave pets at home. This entry was posted in Community News, Events. Bookmark the permalink.